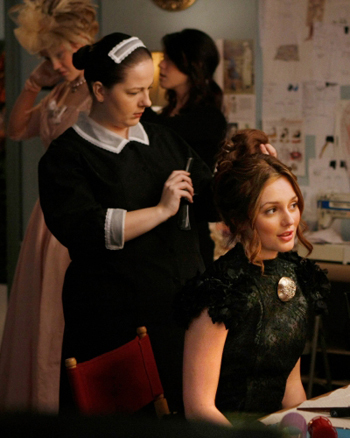 Dancing with the Stars goes big and Gossip Girl finally returns tonight on TV. On Friday night, several of my favorite TV heroes were caught in a difficult moral dilemma. 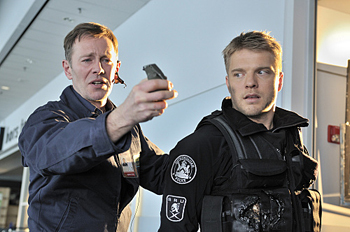 First on Flashpoint, the unit was assigned to guard a serial killer being brought into the country to stand trial. As you can imagine, there were dozens of people who wanted to see this guy dead, including the custom’s agent assigned to the case. So here you have a group of law officers who have to put their life on the line to protect a guy that in all likelihood is headed for the gas chamber. In typical Flashpoint fashion, it doesn’t work out all that well.In a similar story, Don got a last minute phone call saying that a mobster scheduled for execution is innocent despite his confession on Numb3rs. The trouble here was that there was no question the guy was guilty of dozens of murders he was never arrested for, but he wasn’t guilty of the one he was getting the needle for. Don had no choice but to chase down the clues to the end, even if it meant putting a mobster back on the street. Add a second sad ending to my viewing for Friday night.Over the weekend, I lightened things up with the series Running in Heels. Once again, Ashley was stuck with the mundane grunt work while the other interns got the cool jobs. She was asked to play personal assistant to a staffer who was getting married but still, who asks a newbie intern to pick up a pricey diamond ring? They’re lucky all she did was arrive late. Yikes. I’m going to head over to MyStyle.com to see what Ashley has to say about it on her blog. You stay here and see what’s on TV tonight. ABC has a big Dancing with the Stars. Tonight’s scores will combine with last week’s scores and we’ll have our first elimination tomorrow! Then it’s the second episode of the new series Castle.CBS is all new with their comedies, The Big Bang Theory, How I Met Your Mother, Two and a Half Men, and Rules of Engagement. At 10:00, a flight attendant is murdered in midair on CSI: Miami.The CW is back in the swing with new episodes of Gossip Girl where their school play mimics real life and then Peyton gets some unexpected news on One Tree Hill.Fox is very superstitious tonight when a cat is thought to be the bringer of death on House. Next, Jack sets out to blow up something new on 24.NBC is all reruns tonight and I have no idea why. It’s Chuck, Heroes, and then Medium. ABCFamily is all new with The Secret Life and Kyle XY.Saving Grace is new on TNT as is a special on Battlestar Galactica on SCI FI.TLC has new episodes of Little People and Jon & Kate and The City is new on MTV. A riot broke out at the America’s Next Top Model auditions in New York this past weekend. Conflicting rumors on how it all started include word that a nearby crashed car was about to explode, to word of a man with a gun in the crowd. The result was a stampede that ended in both injuries and arrests. The auditions were shut down at that point and the crowd was sent home. 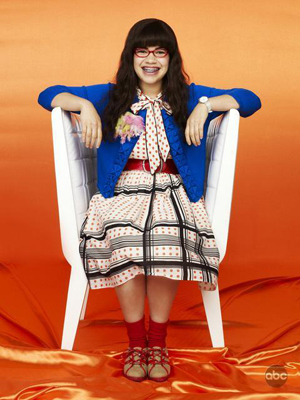 ABC also says Ugly Betty will return to the schedule in May ending much talk that the series could be canceled.Josh Schwartz, creator of The OC and Gossip Girl is behind a new internet series called Rockville, CA. You’ll find it on TheWB.comSCI FI Channel is changing its name to Syfy — weird.